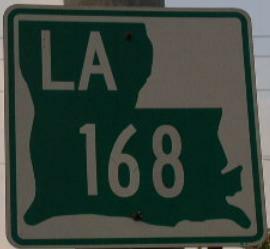 Louisiana State Route 168 is a east-west highway in the northwest corner of the state. 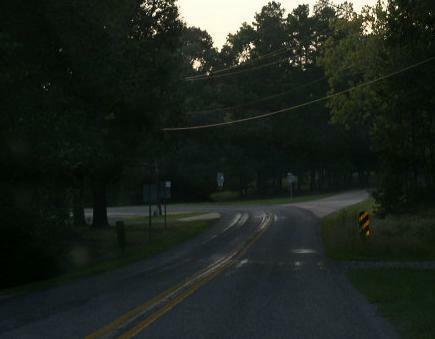 This highway is completly in Caddo Parish. 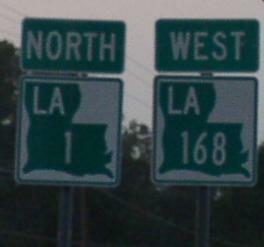 LA St Rt 168 passes through the following towns in Caddo Parish. 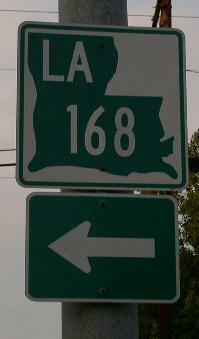 LA St Rt 168 is multi-plexed in Caddo Parish. 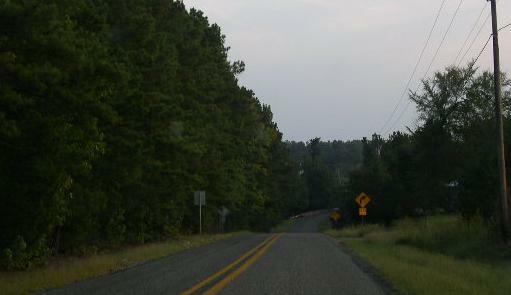 Louisiana State Route 1, at Rodessa. 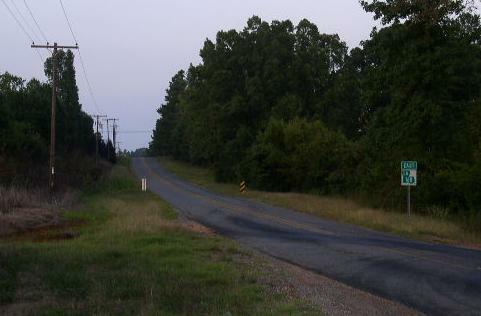 LA St Rt 168 intersects the following highways in Caddo County. U.S. Rt. 71, at Ida. 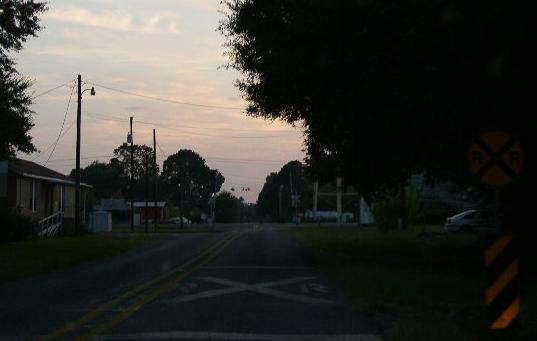 Junction marker on SB U.S. Rt. 71. Guide marker on NB U.S. Rt. 71. 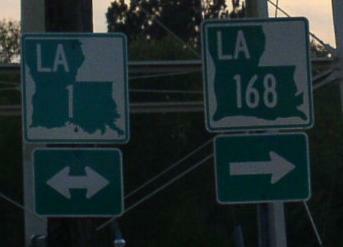 WB LA St Rt 168 at Ida. 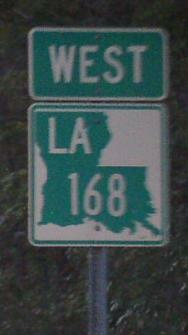 WB LA St Rt 168, west of Ida. 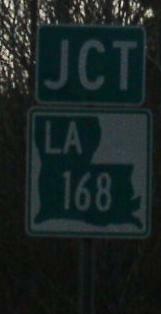 EB LA St Rt 168, east of Rodessa. 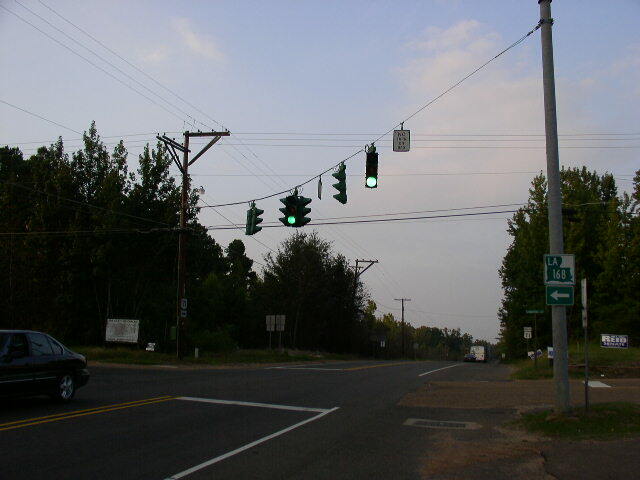 WB LA St Rt 168 in Rodessa.